I actually made this several days ago, but have not had the chance to post it until now. 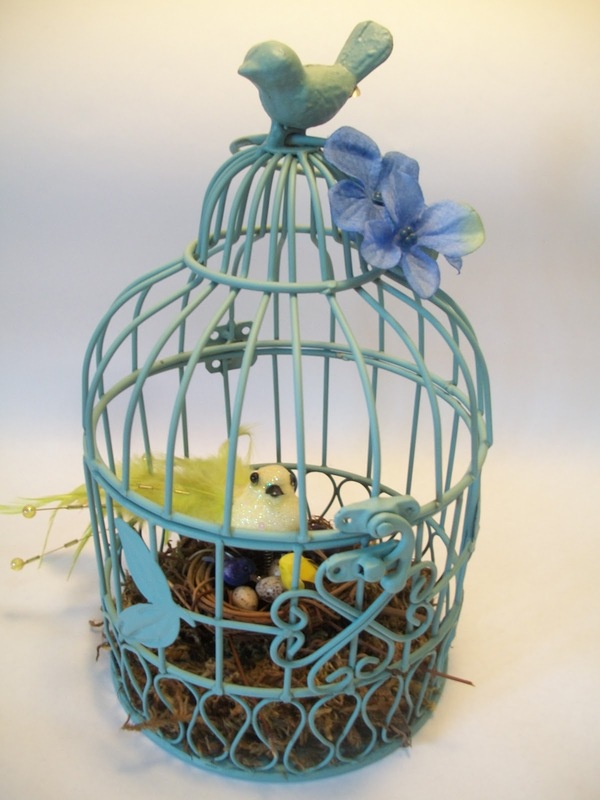 I love this turquoise bird cage I found on clearance at Michaels. I also had a percentage off my entire order coupon, which brought the price down even more. 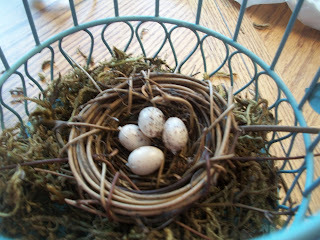 Kara had some leftover eggs and baby birds from her flower pot nest craft, and I thought I would use them. 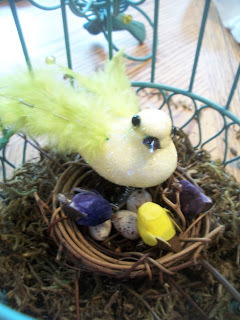 I found this adorable little bird's nest at JoAnns for just a couple dollars. It was even cheaper with my 25% off entire order coupon. I put in some of the bird's eggs. 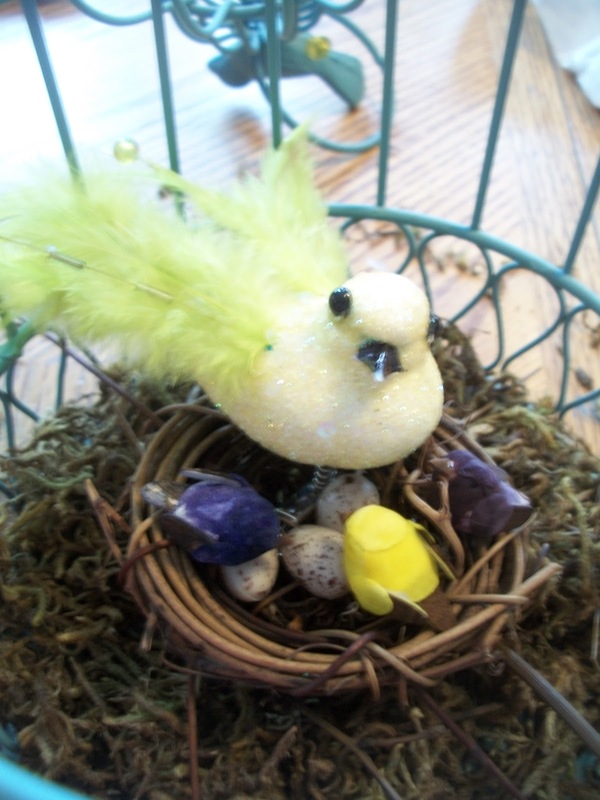 I then added this gorgeous bird I also found on clearance. It is normally $6.99, on sale for only $2.99. It was around $2 after coupon. I added in a couple of Kara's leftover baby birds. 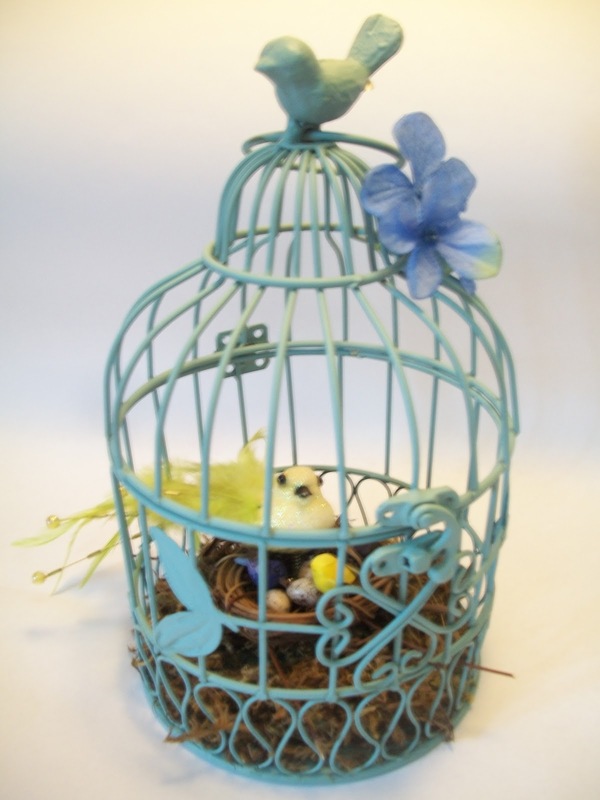 I then added a blue flower from the dollar store to the top of the cage. 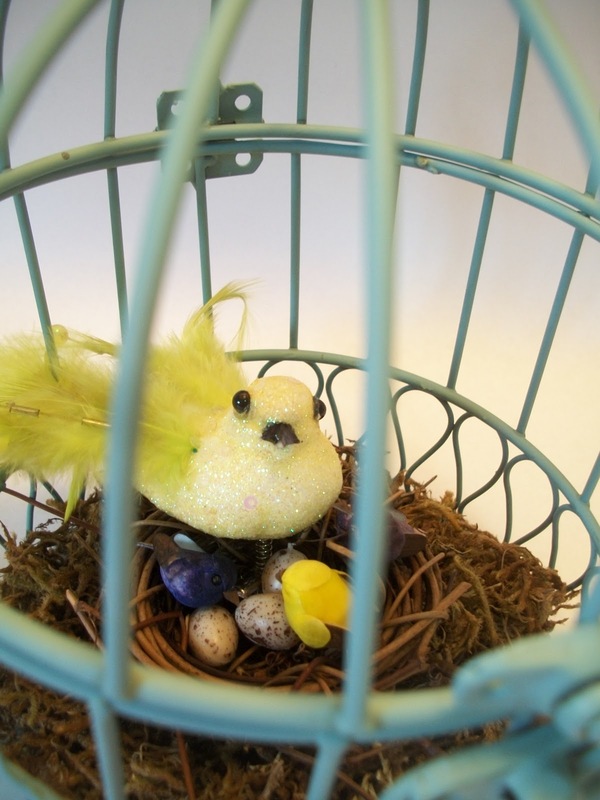 I have to remind myself that it is not a real bird in a cage at times. Isn't she giving the look of "please let me out!" I really do love my birdcage, and mama bird is safer in the cage than out. 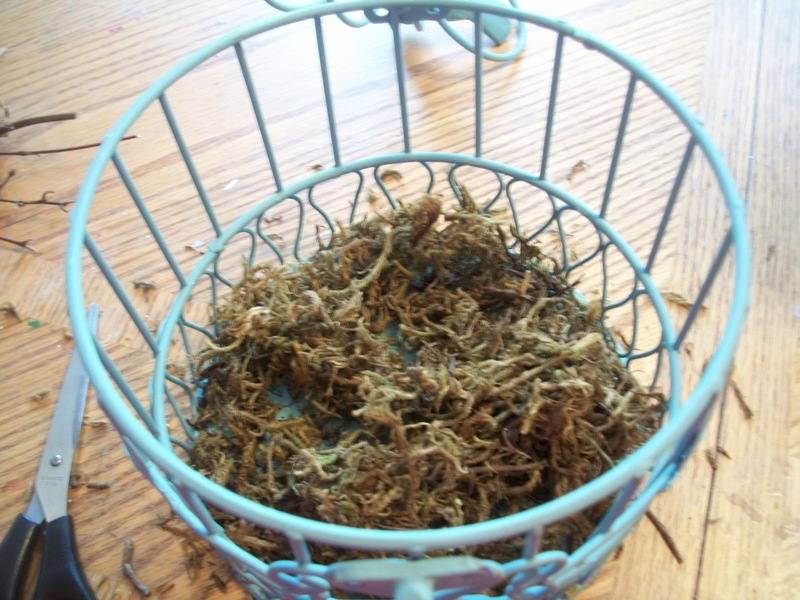 The cats have a feathered cat nip toy that they really want to play with, and I think they would play with mama bird if they could. Now to figure out the best place to display miss mama bird. That is so adorable. I must make one! 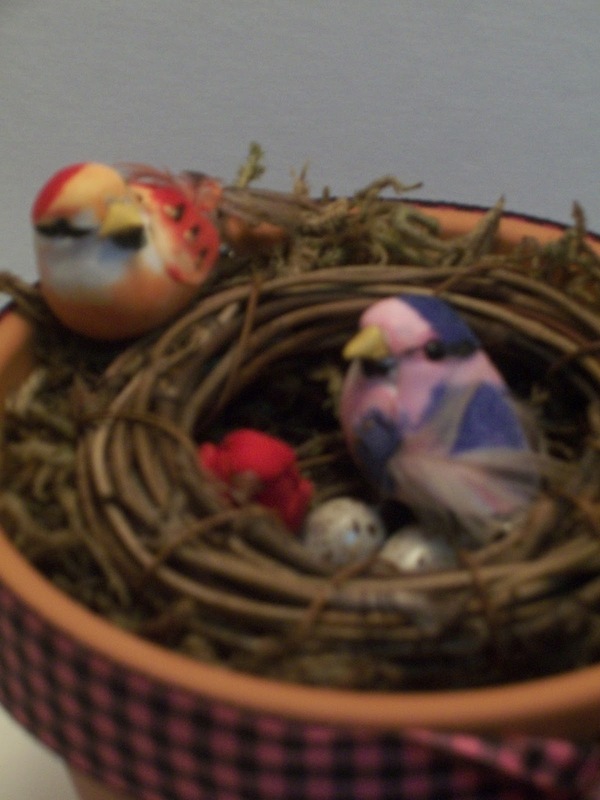 This is really cute, I love birds--I'm going to keep my eye out for a cute birdcage! So cute! 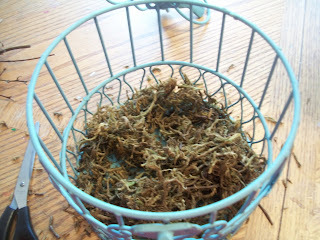 Makes me wish I'd had my creative cap on when I was last at Michael's, but I had my hurry hat on instead, LOL. Very pretty, I have a empty birdcage shaped candle holder that I've never quite known what to do with. This would be such a fun way to use it! Ugh I want a little bird cage so bad! Yours is super cute! A little bit of this.. The Canvas People Offer is Back!